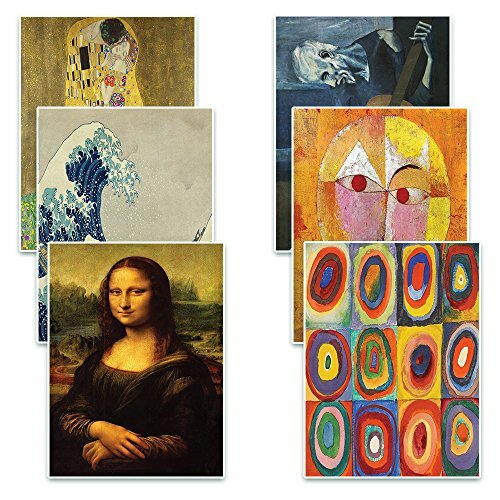 Creanoso Postcards Collection Set contain famous paintings that are a great way to mark your page. These unique bookmarks are made from quality material, very lightweight and colorful designs. Ideal gifts for men, women, teens, boys and girls who love to read and love art. Get yours Now! You too, can own masterpieces that worth millions!!! Premium Quality - 5.5 oz matte card board paper with double-sided water resistant coating. If you have any questions about this product by Creanoso, contact us by completing and submitting the form below. If you are looking for a specif part number, please include it with your message.